Dorothy’s magical ruby slippers took her home if she clicked her heels thrice and repeated, “There’s no place like home.” While this pair of shoes by Steven Rodrig won’t take you home no matter how many times you click your heels, it’s the pair that all geek girls who have a passion for data will want to have. 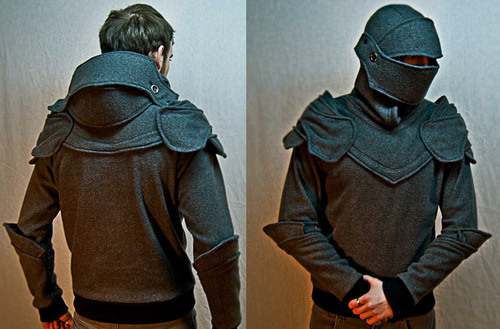 Not because they want to wear it or anything (because it looks incredibly painful if they were to do so) but because they just want to marvel at the awesomeness of it. 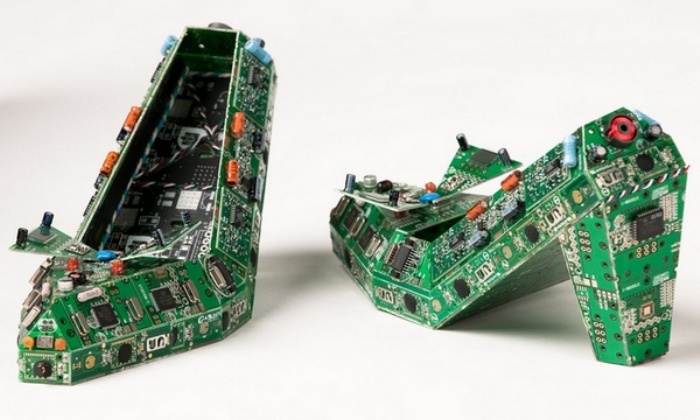 Steven used old printed circuit boards from discarded computers and electronics to create this unique pair. He’s actually well known for his PCB art, and these shoes dubbed as “There’s No Data Like Home” have been featured numerous times. In fact, it was displayed at an exhibit recently in New York before Steven finally decided to part with it and listed it on his Etsy shop. By Hazel Chua on 03/05/13 • Leave a comment! If it weren’t for coffee, I have a feeling half the people in the world wouldn’t be able to get out of bed every day. Coffee is awesome for a hundred reasons and one, one of which is the fact that you can create awesome works of art on the coffee foam. 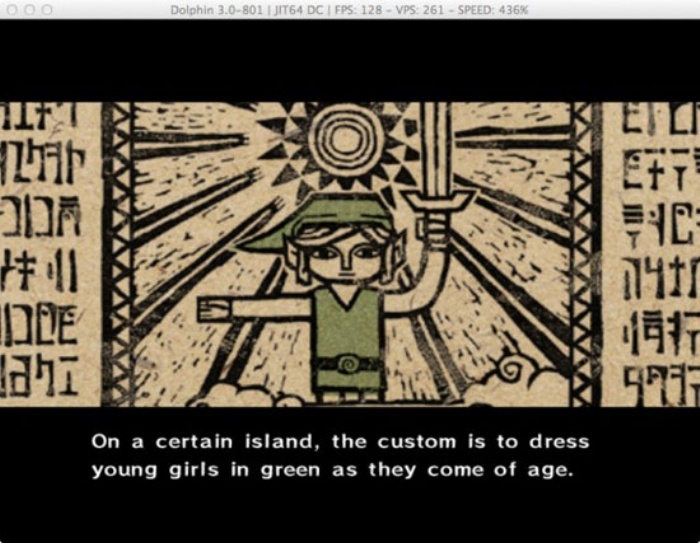 That’s what Japanese artist and engineer Yuko Honda does and she’s pretty amazing at it, too. After seeing countless landscape and Grumpy Cat-inspired latte art, you might’ve thought that you’ve already seen it all. 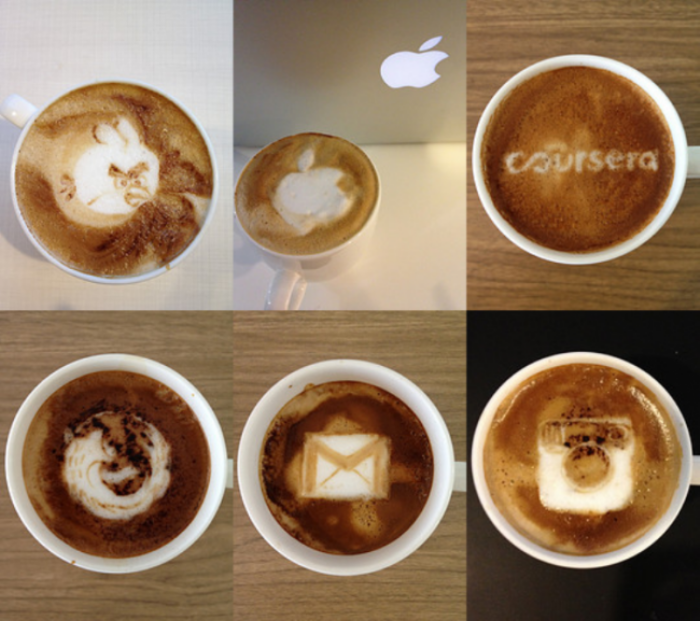 Not quite, because Honda’s uber geeky latte art is in a league of its own. By David Ponce on 10/19/12 • Leave a comment! 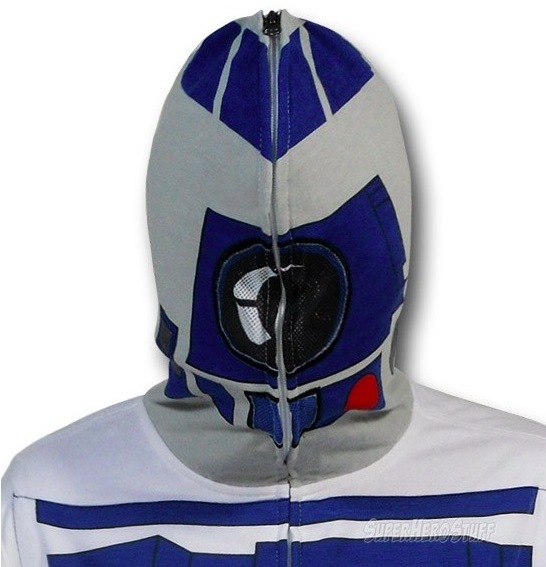 We’re happy to see the above R2-D2 hoodie for men, especially given last week’s artoo dress. 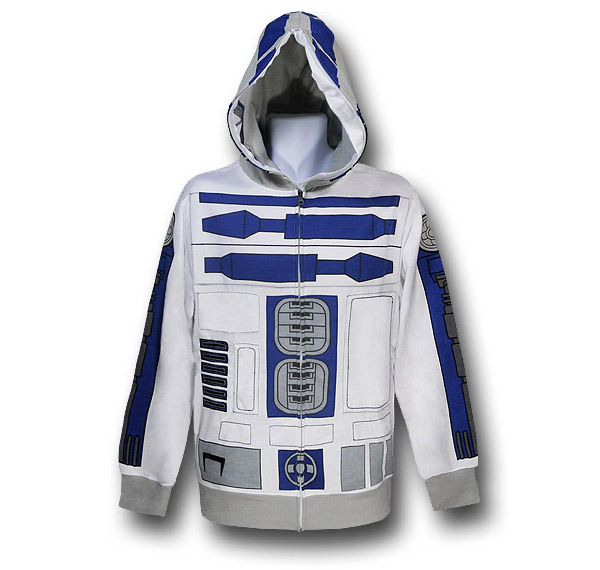 It looks pretty good, is made from 60% cotton and 40% polyester and comes in sizes Small to XXL (although Medium and XXL are currently sold out). Where things start to go wrong however is in its ability to be zipped up past your mouth, and past your eyes, engulfing your entire head. Sure, there are mesh panels so you can see and breathe, but we recon all you’ll see is people crossing the street to walk on the opposite side of it if you choose to wear it that way. But hey, it’s eccentric people like that that make the world more entertaining to live in, so who are we to judge? If you want one, it’s $70. The Dark Knight Rises is out and while not breaking records, it’s been fairly well received by critics. 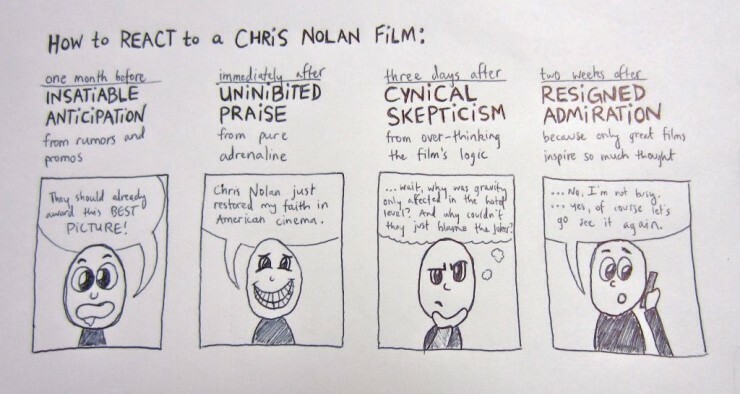 And the above comic pretty much nails down a typical reaction to a Chris Nolan movie. I’m just about ready to go watch it a second time, despite the bunch of holes I punched right through its logic within a couple hours of leaving the theatre. By David Ponce on 06/25/12 • Leave a comment! These hard candies taste like watermelon mixed in with Bhut Jolokia pepper powder. That pepper is also known as the Ghost Pepper and was until recently considered the world’s spiciest. That combination alone sounded pretty enticing, although the inclusion of the Bhut jolokia was really the intriguing part. After all, it was only last February that we were reporting on Timmy’s Great Balls of Fire, candy also coated with the famous pepper. Today’s candy appeared to one-up Timmy’s balls with the inclusion of the sweet watermelon flavour that we hoped would provide a mildly mellow counterpoint to the hellish fire of the Ghost pepper. But reading the description is making us think that there’s barely any pepper there at all. Maybe just enough to be able to get away with saying it’s there; if three out of four staffers at the retailer that sells it were able to survive the experience, they’re clearly not getting a full ghost pepper production. 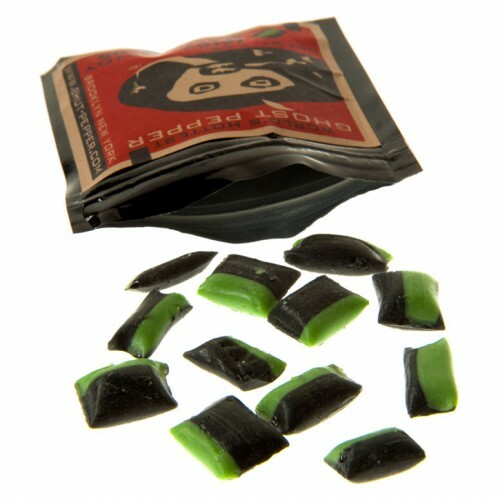 Still, maybe as a tame introduction to the world of the super peppers, the Spicy Watermelon candies could be interesting. It’s $6 for a pack of 16-18, but they’re temporarily sold out. 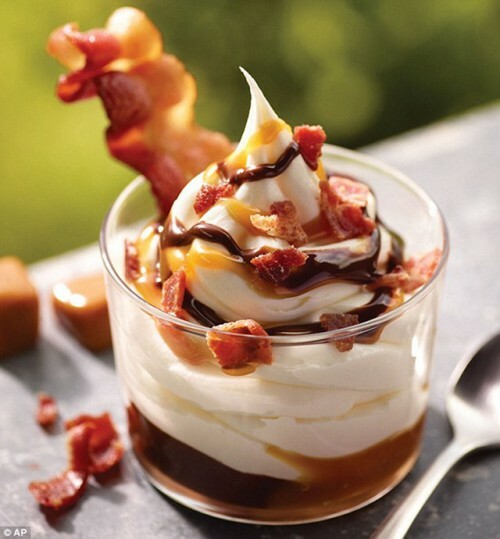 Continuing to chronicle our obsession with bacon, we bring you news of the most exciting item that Burger King will be launching as part of their Summer Menu: Bacon Sundae. Clocking in at a hearty 510 calories, 18 grams of fat and 61 grams of sugar, the tasty dessert will feature vanilla soft serve with fudge, caramel, bacon crumbles and a piece of bacon. It’s part of the chain’s Summer Menu, which also includes other non-traditional BK items like Memphis Pulled Pork BBQ Sandwich, Sweet potato fries, and Frozen Lemonade. Ever since being taken private by the private equity firm 3G Capital in late 2010, the company has been expanding its offering and repositioning itself to cater to more than young men, potentially appealing to moms and families as well. Expect the Summer Menu (with a BACON SUNDAE!) 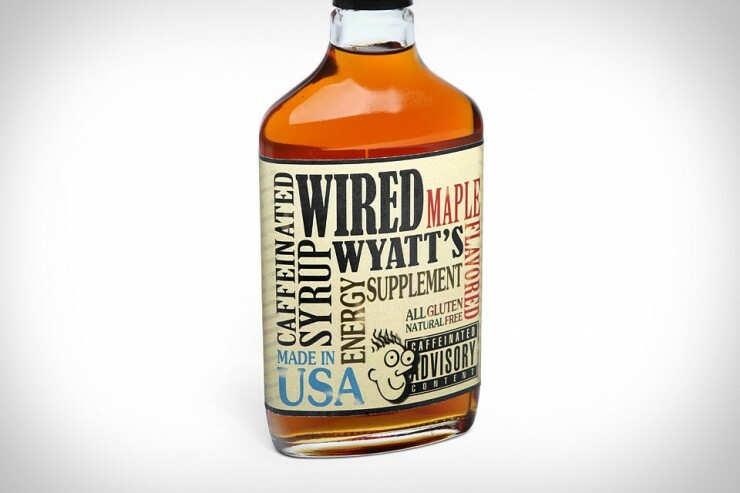 to be available throughout the summer or while supplies last. By David Ponce on 06/13/12 • Leave a comment! Anyway, we don’t even know how much the initial listing was for or what’s going to happen here but if you want one, keep an eye on the store linked to below.